Two Important Characters Are Back For Maari 2! Maari 2 starring Dhanush, Krishna, Sai Pallavi, Varalaxmi Sarathkumar, Tovino Thomas is directed by Balaji Mohan and has music by Yuvan Shankar Raja. Maari 2 is made under Dhanush's own Wunderbar Films banner. As a part of their promotions ahead of its release, the team has been unveiling the character posters from the movie. The team has revealed the First Look posters of Dhanush, Sai Pallavi, Krishna, Tovino Thomas, and Varalaxmi Sarathkumar. And now, the team has revealed two important character posters from the venture. 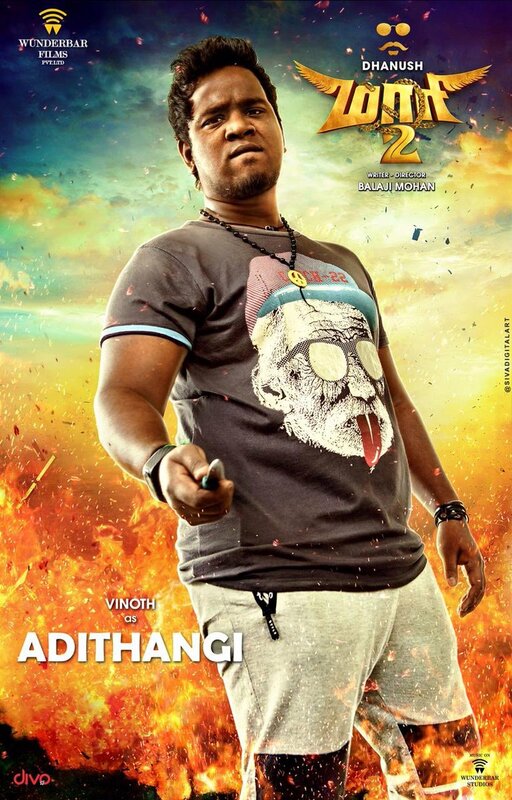 The posters featured Robo Shankar and Vinoth. Robo Shankar as Sanikelamai and Vinoth as Adithangi will be carrying the roles from the first part of the franchise Maari. Both the comedy actors played an important role in the success of Maari as they traveled along with the hero throughout the movie. 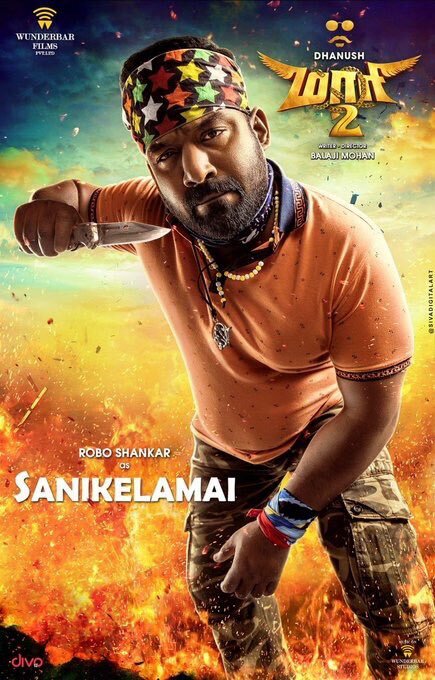 Both Robo Shankar and Vinoth are expected to carry their form from the first part to Maari 2 as well. The Flick is touted for a big release on December 21st.